Although professionals often excel at their own job responsibilities, many only have a vague idea of what their colleagues’ jobs entail. As supply chains become more intricate and entwined, it’s helpful for supply chain professionals to understand the responsibilities and pressures their business counterparts face every day. To assist with this, Inbound Logistics published a study about the purchasing process and the myriad tasks, responsibilities and challenges of purchasing managers, offering an in-depth look at what these professionals do. The study, conducted by the Thomas Network and Strategyn, found that purchasing managers are responsible for more than 225 incremental tasks that keep the buying process moving. However, these tasks, and purchasing managers’ broader responsibilities, keep evolving. “Today, professionals in the field are taking on additional responsibilities, demanding more seats at more tables, and demonstrating their skills and value in new and unexpected ways,” Jason Scheer writes. Many of the tasks identified in the survey fell outside the realm of procurement just a few years ago. Now, these professionals must support a multifaceted procurement operation. determining which criteria will not be met by the top-ranked product or service option. Define the need for the product or service. If executing a new design, review data about the available options. Evaluate potential suppliers for the needed product or service. Create a shortlist of the top suppliers. Make a purchase from the top-ranking supplier. These professionals are not working on one project at a time, Scheer notes. Instead, they may be juggling hundreds of projects and working to meet the needs of different stakeholders up and down the supply chain. Beyond procurement, purchasing managers also are increasingly responsible for tangential tasks related to acquisition, supplier administration and performance management; risk management; supply chain maintenance; market awareness; and supplier diversity. The study predicts that the breadth and complexity of a purchasing manager’s role will increase in the years to come. This means that purchasing managers must continue learning to keep up with their job demands. The surveyed purchasing managers indicated they want to learn more about improving overall supply chain performance, boosting order fulfillment rates, reducing risks, improving their negotiation skills, and minimizing shipping costs and errors, among other topics. Beyond conversations and in-depth research studies, there are other ways to learn more about the various supply chain roles. For example, some companies may offer job rotations, which the APICS Dictionary defines as “The practice of an employee periodically changing job responsibilities to provide a broader perspective and a view of the organization as a total system, in order to enhance motivation and provide cross-training." 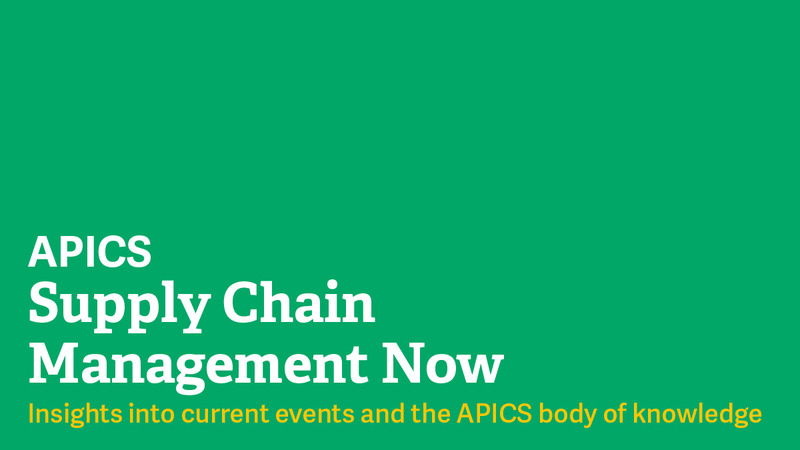 APICS also offers a multitude of opportunities for supply chain professionals to learn about different facets of supply chain. For example, the APICS certification programs help professionals acquire in-depth knowledge about various supply chain topics. Use the APICS Education Selector to find out which certification can help you.